And,until recently, I thought that we had the freedom to vote. That was establish during the Civil Rights Era. Sadly, in the 21st century our rights appear to be under attack. We can’t let anyone lessen or diminish our freedoms. 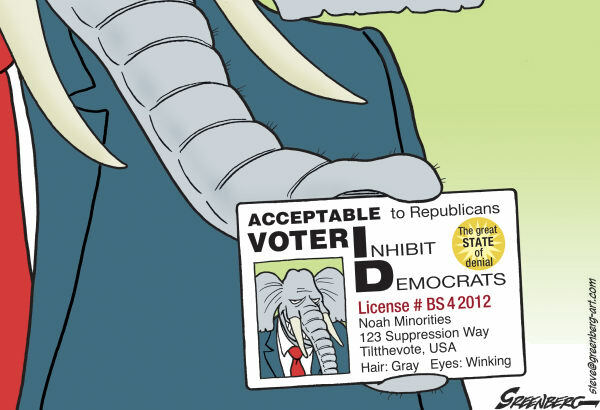 Join the fight against these discriminatory voter ID laws that various states are trying to impose on American citizens. This is not a third world country yet. Stop trying to fix elections by excluding certain Americans from voting.